Fedora 28 : Testing Blender 2.80 . I tested the new Blender 2.80 alpha 2 version and is working well. You can start to download it from the official download page. The next step: unarchive the tar.bz file and run the blender from the newly created folder. I try to create a package but seems the tool not working with the .spec file. 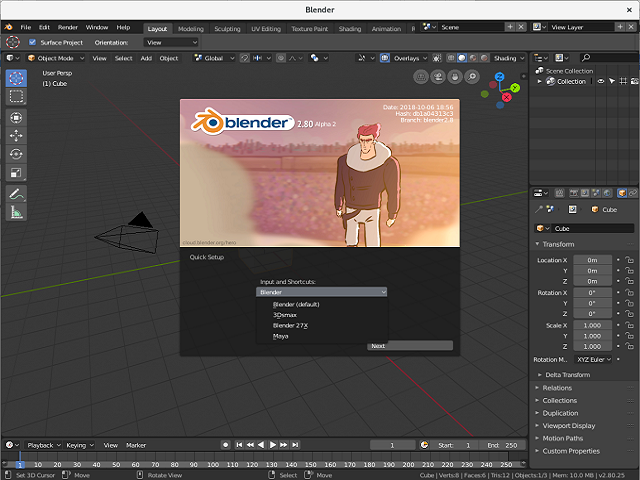 This is a screenshot with this Blender 3D software running in my Fedora 28.